Wear it double looped in a lariat style or wrap around to create a choker and let the ends hang or tie them in a loose knot! Lots of fun ways to wear this fun feminine piece! 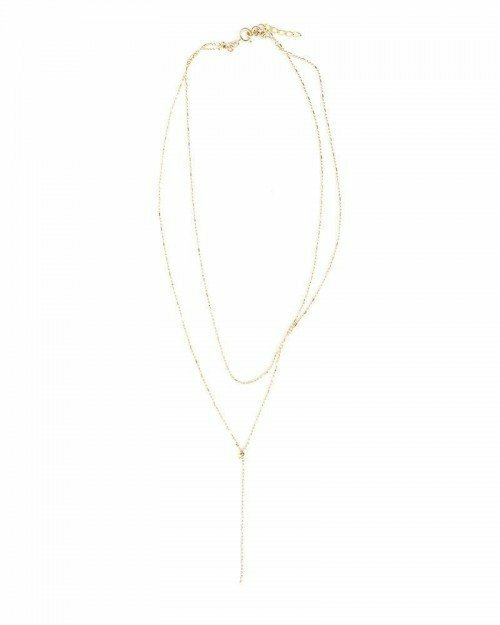 42″ long chain made of 14k gold filled or sterling silver bead chain accented with round beads throughout. Shown on the model with the Fine Fete Gemstone Tassel Necklaces.